Benefit Services Incorporated has considerable experience in the field of partially self-funded health plans. For over 25 years our consultants have been designing and servicing partially self-funded plans for clients of all sizes and across all industry lines. 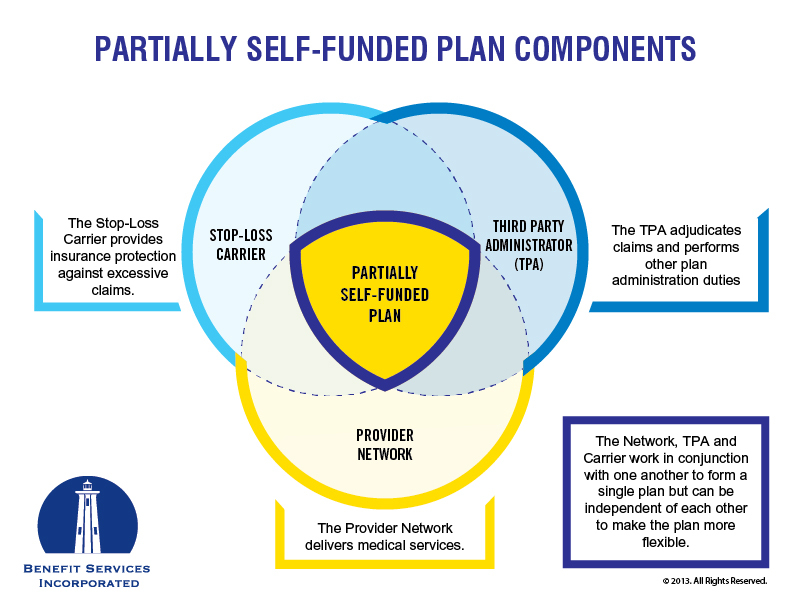 We have developed strong relationships with Third Party Administrators and Stop-Loss Carriers who work closely with us in providing customized, innovative funding approaches to our clients’ medical and dental plans that result in significant savings over traditional, fully-insured plans. We ensure that the TPA’s we partner with use state-of-the-art claims, enrollment, eligibility and medical data-mining technology along with case management and reporting programs that enable our clients to maximize productivity and minimize expenses. Additionally, our clients have access to provider networks that bring name recognition and deep discounts which contribute to a comprehensive, affordable partially self-funded program that is attractive to both employees and company executives.